I am often asked what I want to do for my career. In today’s day in age, it isn’t uncommon that my peers will have 3 -4 different jobs in their lifetime. I absolutely love my job and the company I work for now. Will I stay here forever? I could. The company is ridiculously strong and secure. We have amazing benefits. My co-workers are pretty great. But what do I want to do? Well, I love marketing and advertising. I do some outside activities to get in touch with the local marketing and advertising community. I’ve spent time with a lot of people who work in a ton of different environments, from corporate to ad agencies to education to being self-employed. In high school and during my early years of college I wanted to be a social worker. I’m a very compassionate person and I wanted to help people. Shortly after taking a few classes and doing some research on what I’d do as a social worker, I decided against it. I fell into my current position and have been drawn into the business world. I’ve spent time thinking, how can I can combine business and doing good for the world. In 2010 I did the St. Paul Police Department Citizen’s Police Academy (remember?!). This was an awesome experience. And I got tazed! It wasn’t as bad as it sounds but if I was acting out it would definitely calm me down. One of the things we did in the CPA was learn about every different department within the SPPD. Any police department will have a media liaison and it’s usually a sergeant or maybe even the police chief. 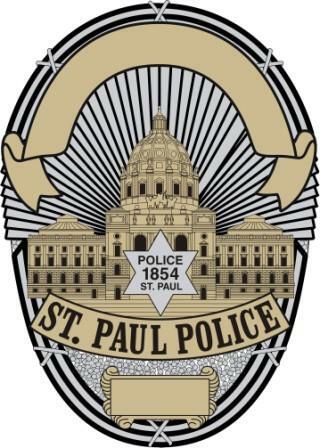 Bigger departments, like St. Paul, have a specific person that fills this role and they’re called the Public Information Officer (if they’re actually a police officer) or else the spokesperson for the department. St. Paul has a list of great PIO’s and I was able to have one as my professor at St. Kate’s in the summer of 2010 for an elective class I took called the Anatomy of Violence. Between learning about the PIO’s position in the CPA and talking with my professor about his role, I knew I had to find out more about it. It is a very fast paced job. This person is the point of contact for all media. The media comes in daily and goes through the police reports and from that pick which cases to report on. From what I’ve heard, the media folk are usually chomping at the bit to get information about the various police reports that have been released. I have to say, this would be my dream job! And don’t worry, I have a plan of action to reach this goal. Once I complete my degree in marketing and management, I’m going to figure out how to enroll in the skills academy. Once the skills academy is completed, I will test to be a cop and look for a job, hopefully within St. Paul Police Department. SPPD is really tough to get into but I’m hoping that completing the CPA and making connections between now and then will help me with this. Then, I’ll be a patrol cop for a few years. I’m talking the nitty gritty 7pm until 8am shift. I am a total night owl, so this would be amazing. I can spend my day sleeping and working out in the cop gym. I will spend my time learning the police department while still focusing on my desires as a marketing and public relations professional. Then, magically, this position will become available. I will interview and be the best for the job, given my experience with the department and my background in business and marketing/PR. As I close the semester and finish up my Promotional Communications class, I can reflect on what I’ve learned over the past term. I am no longer required to write a blog post about things going on anymore! I have Thursday nights back to myself and can now catch up on the whole season thus far of Grey’s Anatomy! Score one for Leah’s free time. But, I digress. Anyway, one of the main take aways from the class is that if you can create a wave in the social media world, you can do anything. You can use social media for creating awareness for a cause, marketing your business and many other things. Online publications and media branding is a key essential to a successful business or brand. Last night was the award ceremony for the Twin Cities Top Ten Titans In Social Media 2010. From this blog post, you can see why someone would be nominated.